Whenever you want to try a new natural supplement, it is very important to learn more about the ingredients used in the formula, to see how it can help addressing the issues you may experience due to the conditions you are affected by. Menopause is usually accompanied by hot flashes, mood swings and other symptoms caused by hormonal imbalance. Herbal remedies are usually used for addressing such issues. Black cohosh, red clover and passiflora are just a few of the ingredients one should found in such products. 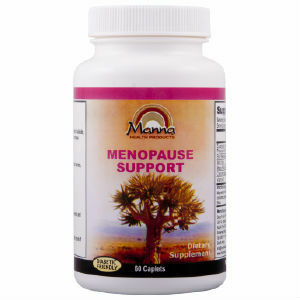 Manna Health Products Menopause Support is a product designed for treating the symptoms of menopause, but the manufacturer does not clearly say what is inside the bottle. Because the product enjoys, nonetheless, some positive reviews from users, we decided to review it here, as well. What Does Manna Health Products Menopause Support Contain? Phyto-estrogens, such as black cohosh, are great allies in fighting the symptoms of menopause. Also, as women age, they tend to have heart problems, and bone density loss. Manna Health Products Menopause Support could be a good product, but more information on the ingredients should be provided. The recommended dosage is two tablets daily, taken with meals, at breakfast and lunchtime. A bottle with 60 caplets costs 9.85USD, which is very inexpensive. The manufacturer promises to refund all purchases, if the buyer is unsatisfied with the product. No other details, such as the number of days this offer is valid, are provided. Manna Health Products Menopause Support could be a good product, especially since there are users who seem to be quite satisfied with its results. However, we would have liked to see more transparency regarding the composition and how the product works for improving women’s health. Also, the guarantee policy seems very generous, but lacks important details. While the product is cheap, you may want to look around some more. Jackie Horowitz	reviewed Manna Health Products	on December 7th	 and gave it a rating of 2.5.